SKU: FIB-NRAVE. Categories: Brooches & Clasps, Animal Pins. Our Norse Raven Pins were inspired by the Norse and Anglo-Saxon depictions of ravens in jewelry, weapons and stone work. 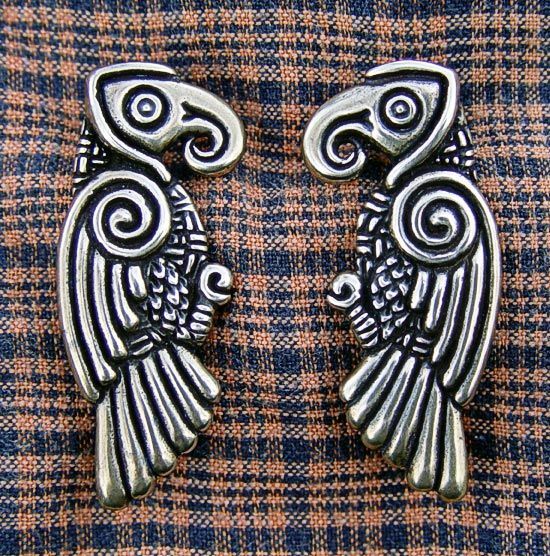 Our Norse Raven Pinss are 2” tall by 3/4” wide (50 x 19 mm). They comes in bronze and sterling silver, and are available single or as a matched pair.